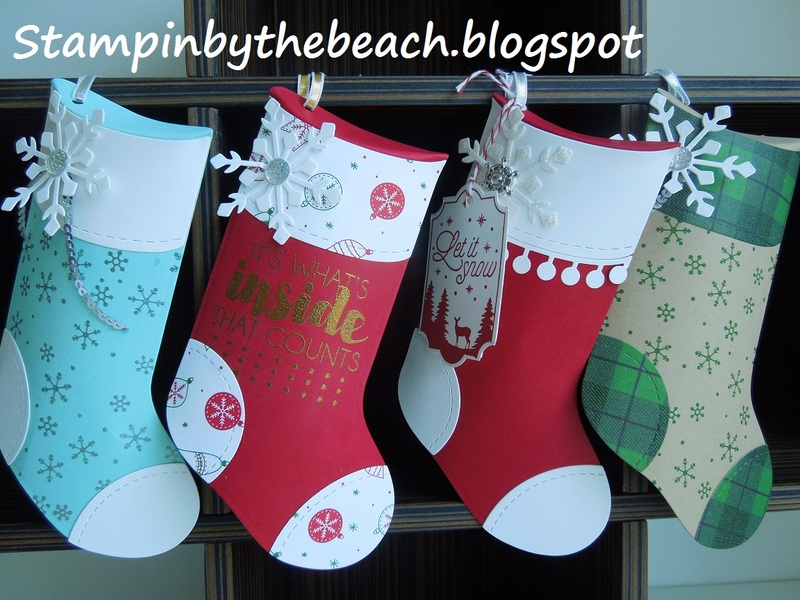 I have classes available to come to my small studio and make three stockings. 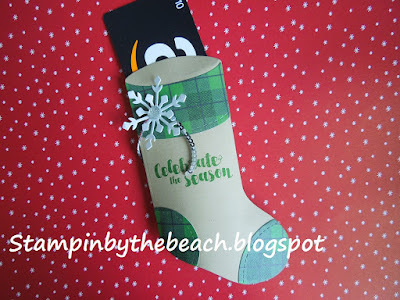 These stockings are great for gift cards and small presents. They can be made to hang from your tree or you could make for your Christmas table and use as a table favour, filling with mints or chocolates. 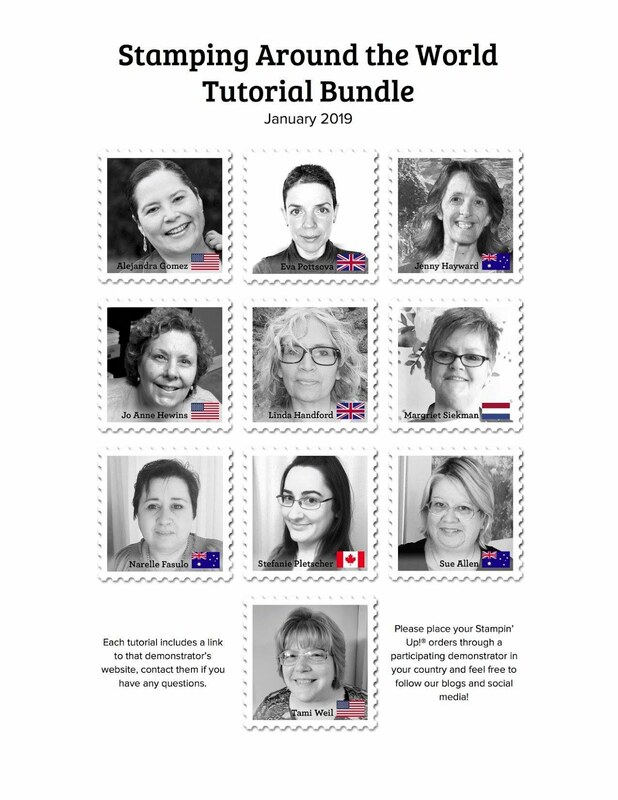 Please get in touch on my blog or facebook page and book a place. Mornings and afternoons available during October. This weekend I have been working on items for a Christmas Craft Fair that I am taking part in in November. I found some brown bags in my stash, that are now retired. 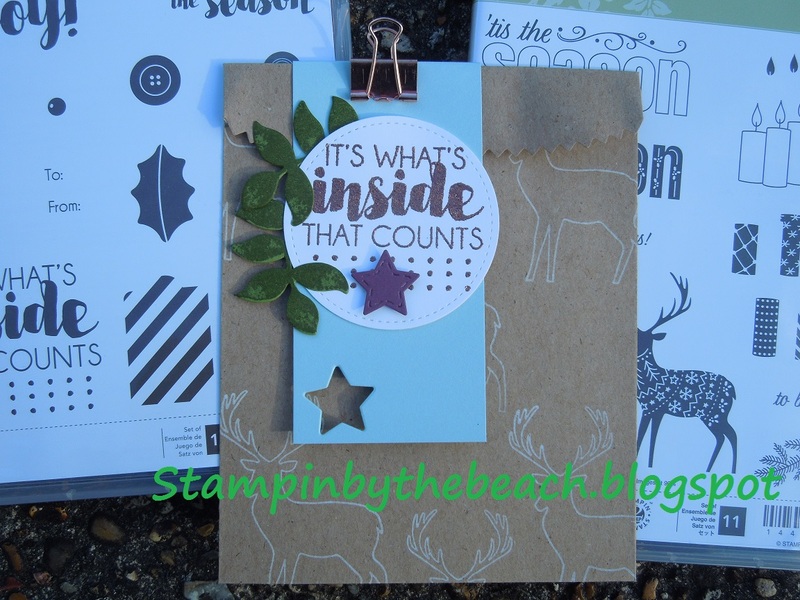 Although if your interested in making this item Stampin Up sell a Framelit (on page 212 of the Annual Catalogue) that makes up small bags. I started by stamping reindeer all over the bag, in white ink. Then I cut out a white stitched circle, which I stamped and embossed in copper embossing powder. I used a sentiment from the Tags and Trimmings bundle. The leaves were stamped and die cut using the Oh so eclectic bundle and the star was die cut using a die from Tags and Trimmings in Fresh Fig. I used Soft sky as a strip for the background, again using the star to cut from the bottom. All finished off with a bulldog clip.